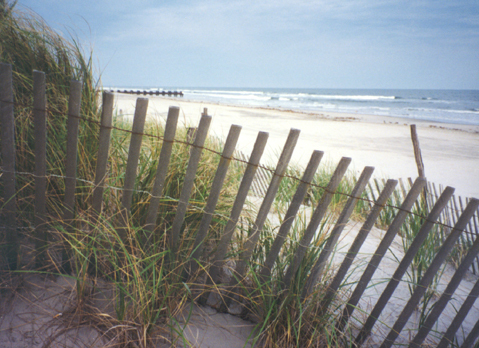 Avalon, N.J., is a quiet town on Seven Mile Island, one of the barrier islands south of Atlantic City. 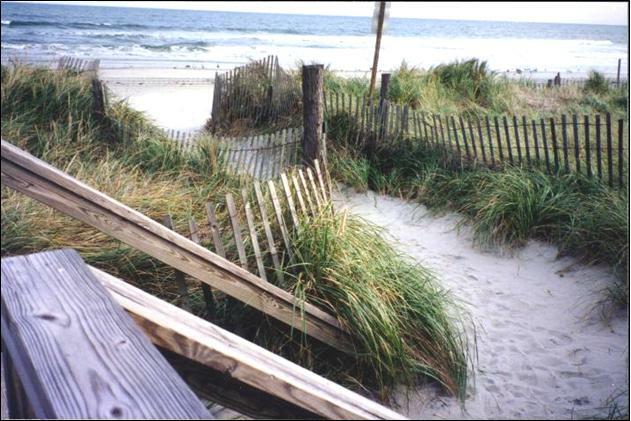 The borough of Avalon shares this island with the borough of Stone Harbor, to the south. 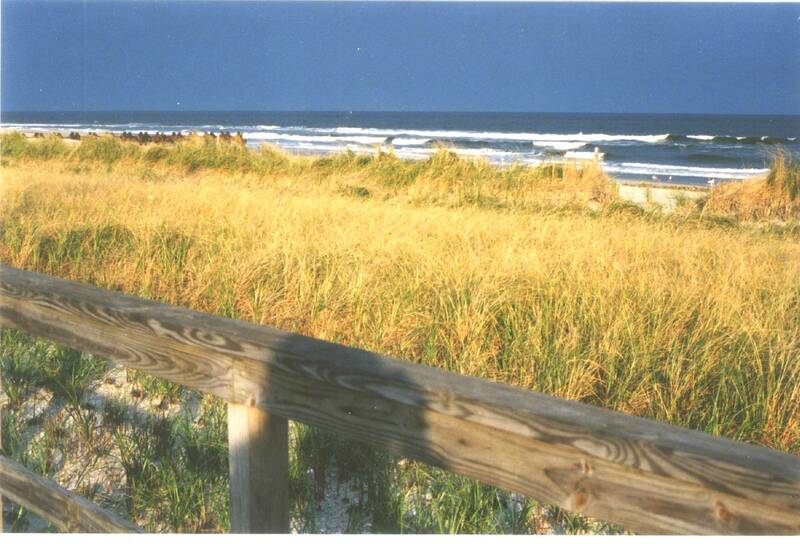 My mother owned a home here in Avalon, on the beach. 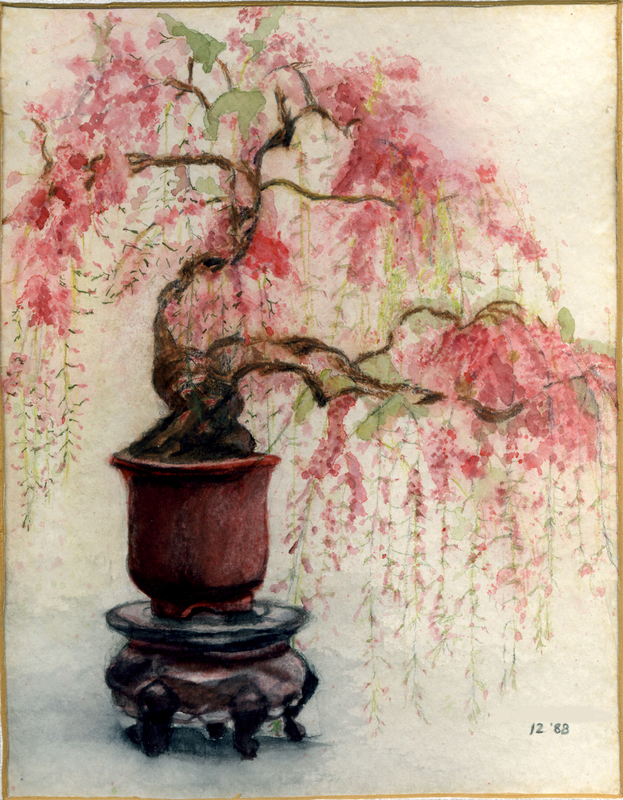 She hosted friends for weekend visits and family — children and grandchildren — for long stays. These were happy days with many fond memories for us all. Ed McMahon, Joe Paterno and Taylor Swift have summered here; in fact, Ed McMahon’s home was near my mother’s. 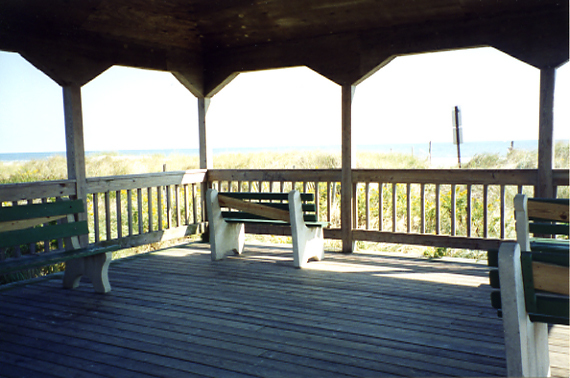 The pavilion at the north end of the boardwalk. Avalon has a lovely beach for taking long walks. 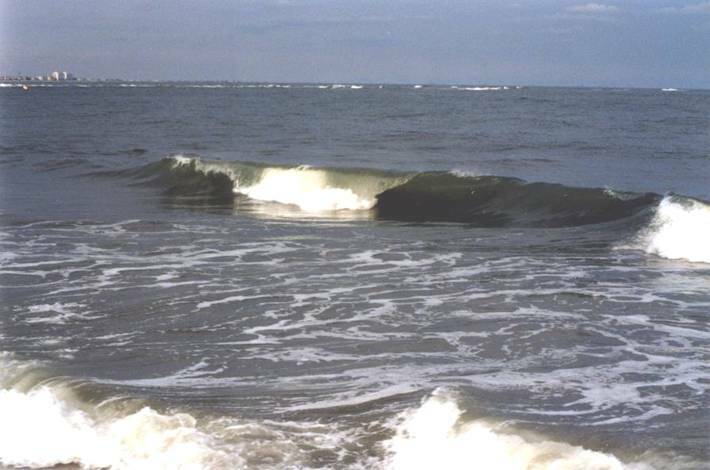 The upper left of this photo looks north across Townsends Inlet, the bay inlet between the islands, to Sea Isle City and Strathmere, on Ludlam Island, which sits below sea level, first used as a fishing grounds for the Leni Lenape Indians, then as a stopover for pirates, and beginning in the 1800s, as with all of these South Jersey islands, a summer vacation place for Philadelphians. In my family, as in many, the men would go to their jobs in the city and after work, commute down to the shore, about an hour, by train. I stood on a jetty to take this photo. 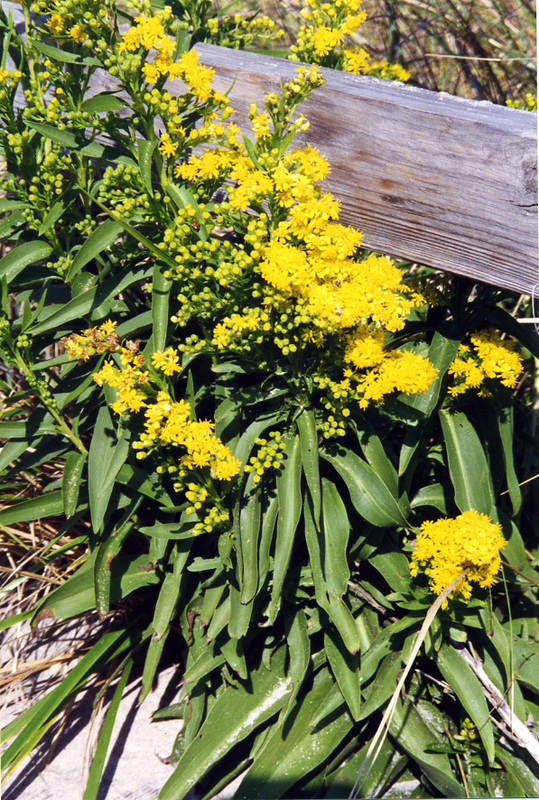 Beach goldenrod, growing in September and October in the dunes along the boardwalk. 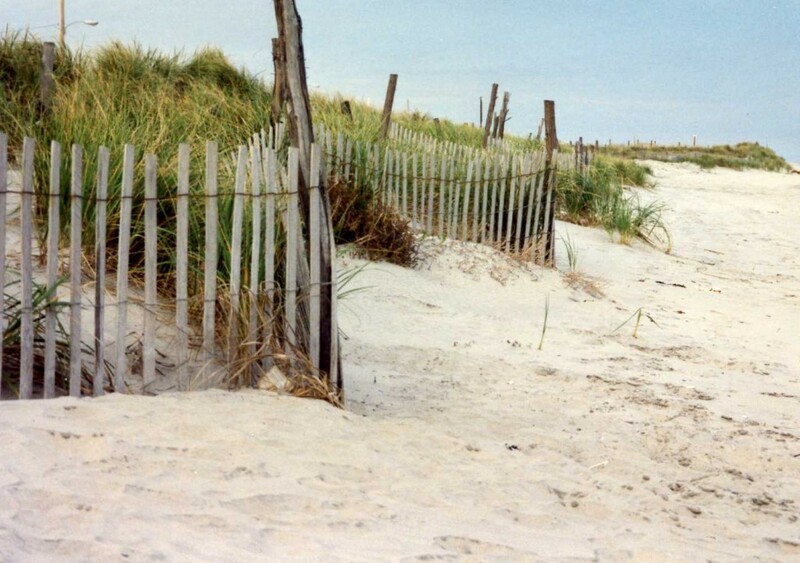 Take the Ocean Highway — follow the seagull on the sign — across Townsends Inlet to Sea Isle and continue north through Strathmere along that island to Corson’s Inlet and cross to Ocean City (Peck’s Beach Island, named for whaler John Peck). 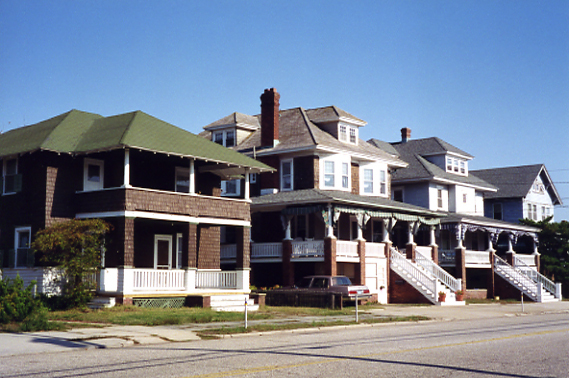 Ocean City is a dry town, founded by the Methodists as a retreat camp. Because the town is dry it is billed as a family vacation resort. 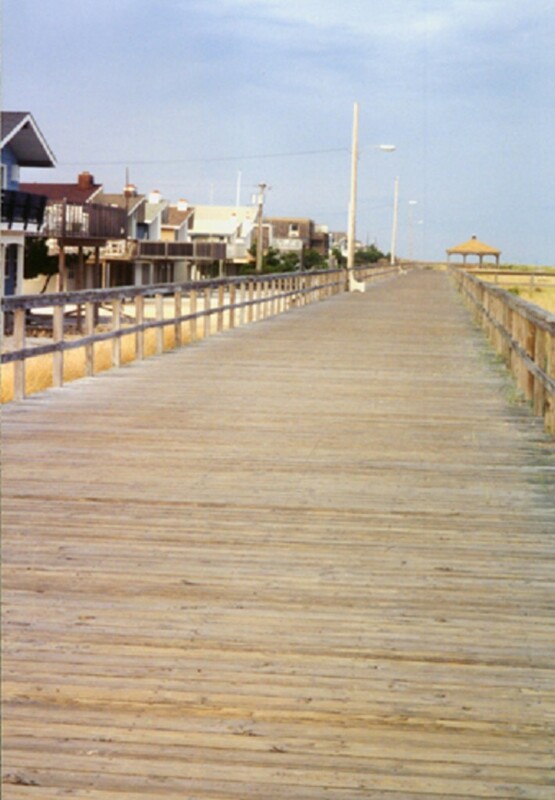 The two and a half mile long boardwalk is wonderful and said to be one of New Jersey’s finest. My family owned a home here before I was born. 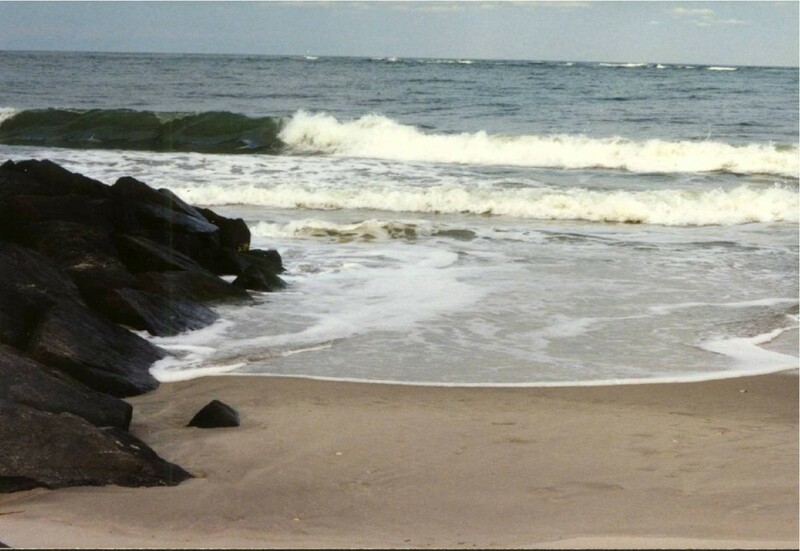 Sometimes during our stays in rental homes we’d see Grace Kelly’s family on the beach in front of the home they owned near the south end of the island. 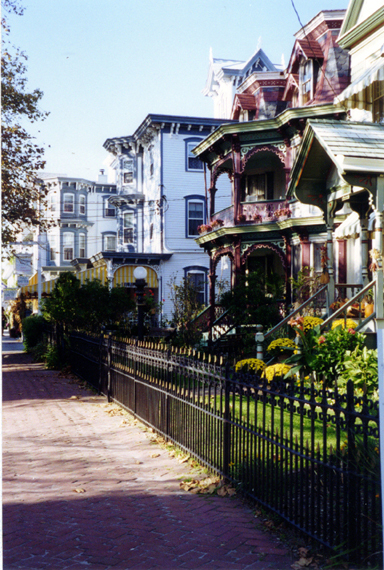 Author Gay Talese and his wife own a home in The Gardens, at the north end of Ocean City. 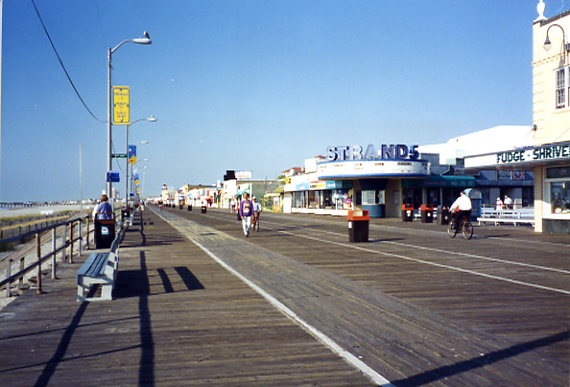 Below is a picture of the Ocean City boardwalk, also scenes of the music pier and some of the summer homes along the avenues. 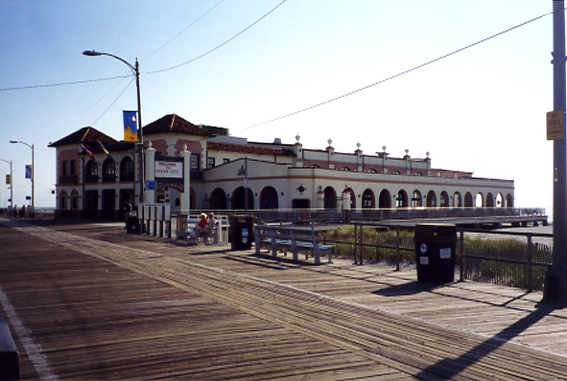 Don’t be misled by the sandy beach to the right of the Music Pier. The sand must constantly be replenished. 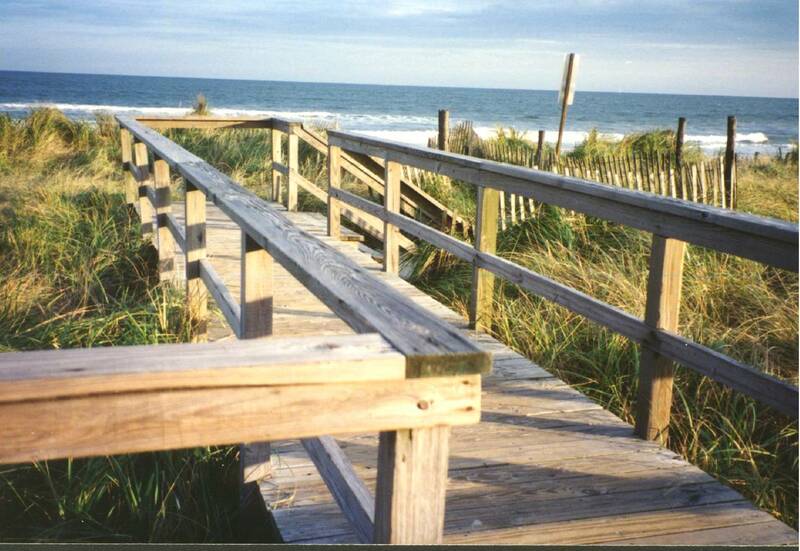 When the beach washes out during storms, the ocean comes right up under the pier and at high tide the breaking waves splash through the cracks between the boards on the boardwalk. 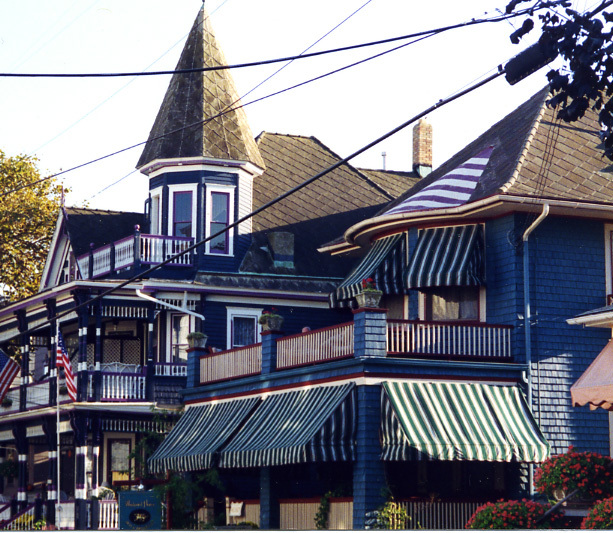 Striped awnings are one of my favorite things. It’s cool and quiet inside them. They make me nostalgic for summers gone by, before there was air conditioning.